Ding-dong! Anybody home? 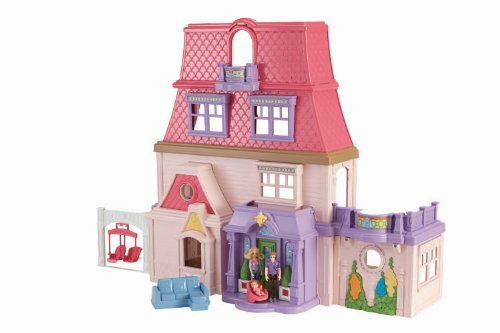 In the Fisher-Price Loving Family Dollhouse, you’ll find Mom, Dad and Baby ready to invite you into their spacious, stylish 4-floor home. Little girls will love all the special touches inside, like a 4th floor balcony and 2nd floor patio off the kitchen! There are 6 spacious rooms to explore, but let’s take the side entrance back outside (Look–a doggy door!) to see the flip-out swing set with a sweet seat for Baby.